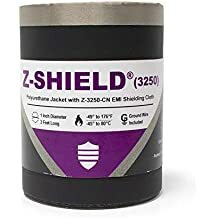 Snap Grip Sam 1000 - Thermal Management Sleeving And Jackets - Thermal Management - Products - ZT | Zippertubing Co.
0.75" 1.0" 1.125" 1.5" 2.0" 2.75"
Snap-Grip® (SAM-1000) is a rugged, cut-to-length, self-extinguishing, heat-reflective aluminum-silicon-coated fiberglass cable-management solution. The self-extinguishing, heat-reflective, aluminum-silicon-coated fiberglass is perfect for the automotive industry. This sleek product not only protects your valuable components from heat, but because Snap-Grip® (SAM-1000) is so rugged, it’s also perfect as an abrasion-protection cable management solution. The heavy-duty stainless steel snaps make Snap-Grip® (SAM-1000) easy, yet versatile, to install for just about anyone in any location. The material used in Snap-Grip® (SAM-1000) has been tested to SAE J2302 requirements. 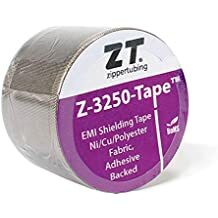 If you are in need of a solution that will protect your automobile’s wires or cables from whatever elements are hindering its operation, then chose The Zippertubing Company’s products to fix it. Cable Diameter 0.75" 1.0" 1.125" 1.5" 2.0" 2.75"